Have you ever tasted a large bean? They're very common in Greece. 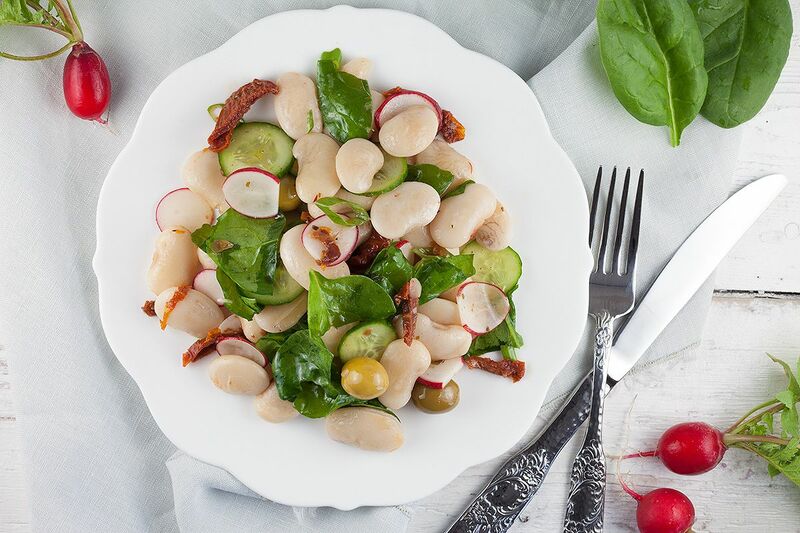 We created a lovely filling and flavorful Gigante bean salad, give it a try! *Note: Soak the dried beans overnight, with a minimum of 12 hours. FILL a large pan with water and salt, bring to a boil. DRAIN the soaked beans and add them to the boiling water. COOK them until they’re softened enough, that will take about 15 to 20 minutes. Meanwhile RINSE the spinach leaves and use a salad spinner to get rid of the excess water. RINSE the cucumber and radishes. CUT the cucumber, radishes and spring onion into slices. PEEL and finely chop the garlic cloves, spring onion and chop the sun-dried tomatoes in small pieces. 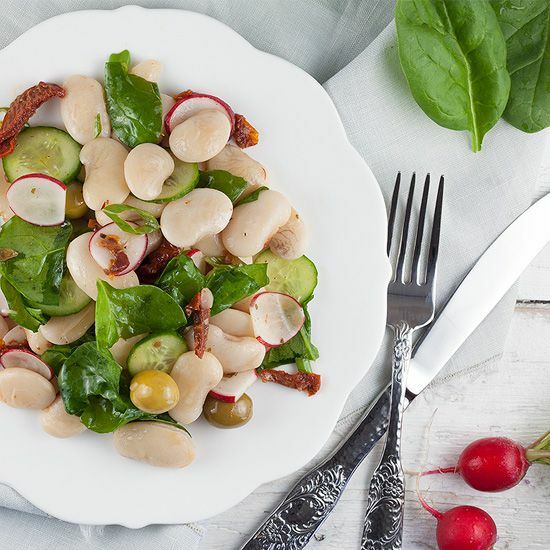 DRAIN the beans and COMBINE the beans, cucumber and radish slices, chopped garlic and sun-dried tomatoes in the large bowl. ADD olive oil or you can also use some of the oil from the tomato jar. 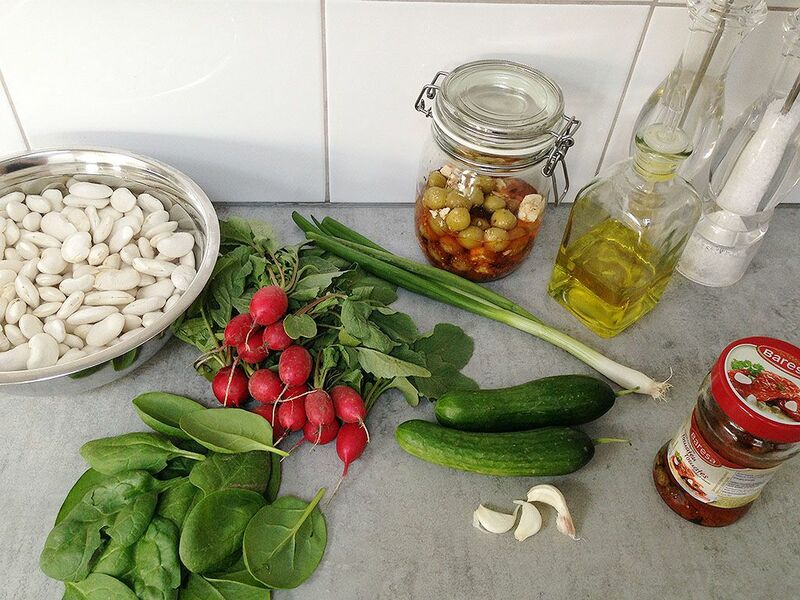 TEAR the spinach leaves into pieces and add them along with the olives and spring onion to finish the salad. SEASON with pepper and salt.